First off, I would like to say Happy New Year. I can’t seem to shake this nagging feeling that 2009 will be a really good year. 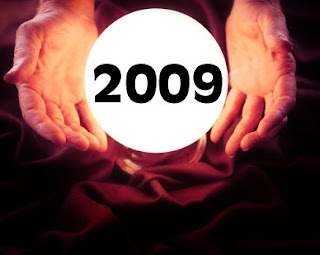 Recently our local, progressively minded, free newspaper, The Orlando Weekly, printed an article in which they asked local newsmakers what they thought 2009 will be like. They chose some county commissioners, a radio news personality, and some local charity board members to use their crystal balls to pear into the future. The responses the paper received were interesting but not outstanding with the exception of one, Kim Wade, resident “psychic” at a New Age Shop in Orlando called Avalon. I want to compliment Wade for her STUNNING AND DARING predictions for 2009. Without the benefit of ESP, gay activist, Michael Wanzie foresees Florida’s ban on gay adoption being lifted in 2009. Kim Wade, on the other hand, went out on a limb to say “Political things will be front-row center” in 2009.